Dhaka, 19 Mar, Abnews: The Cabinet on Monday in principle approved the draft of “The Fertiliser (Management) Amendment Act, 2018” with provision of harsher punishment for selling adulterated fertiliser. 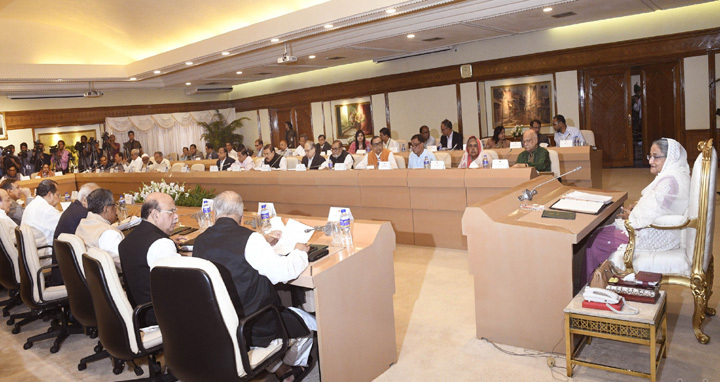 The approval was given at the weekly meeting of the cabinet held at the Prime Minister’s Office with Prime Minister Sheikh Hasina in the chair. Briefing reporters after the meeting, Cabinet Secretary Mohammad Shafiul Alam said according to the draft law, the punishment for selling adulterated fertiliser would be two years imprisonment or Tk five lakh fine or both. The punishment in the existing law is six month imprisonment or Tk 30000 fine or both. Shafiul Alam said the draft law has been proposed bringing some changes in the existing law of 2006. Under the draft law, number of the members of the National Fertiliser Standardization Committee headed by the Agriculture Minister would be 17 instead of existing 15 ones. As per the existing law, any appeal regarding fertiliser management shall be disposed of within 10 days of submission of the appeal. In this regard, the cabinet Secretary said, a new sub-section has been incorporated keeping provision of review under which any aggrieved person can file review petition. The cabinet meeting also gave final approval to the draft of “Bangladesh Livestock Research Institute Act, 2018” and “The Barind Multipurpose Development Authority (BMDA) Act, 2018”. Besides, the cabinet in principle approved the draft of National Defence Policy 2018 outlined on the basis of the existing Defence Policy of 1974 formulated by Bangabandhu. The Cabinet Secretary said the new policy has a detailed guidelines on the capability of the armed forces, its relation with media and people. During war and crisis moment of the country, all paramilitary and supportive forces like Police, BGB, Coast Guard and BNCC will work under operational command of the Armed Force, he said. The cabinet also unanimously adopted a condolence motion expressing profound shock and sorrow at the death of 49 people, including 26 Bangladeshi nationals, in the US-Bangla Plane crash on 12th March last at Tribhuban International airport in Kathmandu of Nepal.